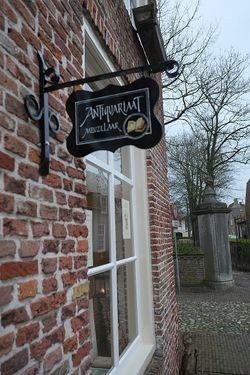 Since 2004 we are established as Boekhandel en Antiquariaat De Roo in a number of shoppremises in Zwijndrecht, the Netherlands. 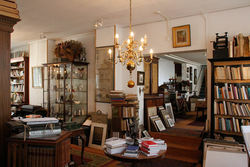 Our offer is specialized in old and rare books and globes from before 1800. Most of the books concern theology, church history and history but also related subjects like atlases and handcoloured works. Beside this we deal in new books and second-hand books concerning the same matters in our store and webshop. In 2010 we started to sell by auction on an annual base, about 500 lots covering the area of old and rare books from before 1800, most concerning theology, church history and related subjects. Quality and completeness are valued high. Each month De Roo publishes a list with the new arrivals and three times a year we publish a printed catalogue. A catalogue with exclusive items, one with items that ar for sale and an acution catalogue. Both the lost of the new arrivals and all catalogues can be found in our webshop. 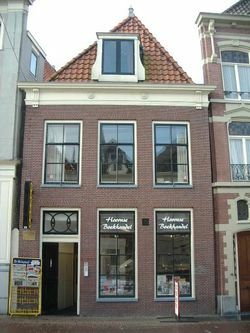 De Roo features a unique competence in providing books in the Netherlands and abroad for especially collectors, investors, Christian readers and those with an interest in old and rare books. In this area we enjoy a well-accepted and trustworthy reputation. We are always interested in purchasing special books and globes. Without any obligations you can contact us by e-mail or telephone to make a appointment. You are always welcome to visit us in our shop! We are Member of ILAB en NVvA. We sell antique books printed from the 16th century to the 18th century. We are open on appointment. We are located in the historical city Heusden. I'm a private collector, selling excess copies. Black Dog Rare Books was established in December 2018. Based in Amersfoort, the Netherlands, we offer rare books from the 17th century to today. First and Limited Edition Books. Booksellers and buyers since 1993. Emphasis of our stock (30,000) Military, World War 2, Childrens, European comics. All mainly in Dutch language but also English and German. 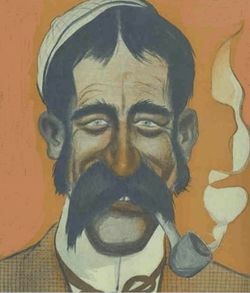 We sell our books on bookfairs, comicfairs and militaryfairs in the Netherlands and Belgium as well as in the Internet. We accept wantlists for universities, collectors, private persons. You can visit our showroom after appointment. Ethnographic Art Books is established inside the National Museum of Ethnology at Leiden and in the Worldmuseum in Rotterdam, both in the Netherlands. We specialize in books on the material culture of non-Western civilizations. Goltzius Antiquarian Booksellers specialise in books, engravings and manuscripts regarding Dutch history, literature, genealogy, literature, genealogy, heraldry and topography. We also offer old master prints. All books are in good condition, unless otherwise stated. Negligible defects, which can be considered as normal for antiquarian books, are not always mentioned. iBookBinding.com is a well-known blog about bookbinding and book arts. Since 2016 we sell bookbinding tools and now we'd like to offer books about bookbinding, book arts, and book history to our customers. In De Ronde Toren started in 1996 and is a specialist in esoteric subjects such as astrology, tarot, magic, esoteric societies etc. 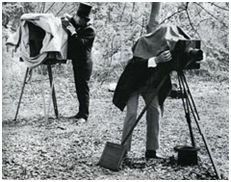 We specialize in old and rare books on voyages, travel, colonial and maritime history and original photographs of the 19th & 20th century. We offer digital catalogues relating to our specialities several times a year. If you also would like to receive these lists online, please let us know your e-mail address and we will include you in our e-mail mailing-list. You can also view the catalogues on the website of the ilab/lila: ilab.org Alternatively you are welcome to visit our website krulantiquarianbooks.nl to browse our frequently updated inventory. You can search in one of the main directories: Books, Photographs or Maps and Prints with a search form, or you can search in our subject catalogues. Requests and orders can be placed by using our shopping cart. We are members of the Nederlandsche Vereeniging van Antiquaren (NVvA) and the International League of Antiquarian Booksellers (ILAB). Linguistics and literature = 80% of our stock. Specialized list on request or on: www.paradox-books.nl for details. Other subjects: books on books, history, economics, philosophy. 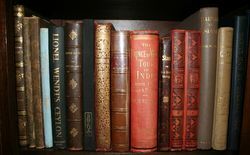 Scrinium stands for a specialized stock of new, secondhand and antiquarian books about Classical Antiquity. The main theme of our books is Classical Antiquity: texts and commentaries, translations, archeology, philosophy, travel, history, mythology, books for young people, philology, law, reception of classical motives in Middle Ages, Renaissance and our own time and neo-Hellenika (conptemporary Greece), and many more subjects. A more modest quantity of our books concerns countries, civilisations and religious movements on the edges of the classical world: e.g. Egypt, Middle East and Early Christianity. New books are partly in stock, partly to be ordered from publishers. We are connected to a large number of publishers and distributors, established both in the Netherlands and abroad. The collection consists of historically interesting and rare copies in the fields of philosophy, economics, calculation and history of ideas. In the past 17 years doubles occurred and some other fields were discontinued. Copies thus obsolete in the present collection are now offered for sale.